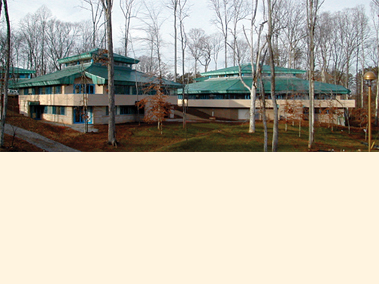 Student housing takes the form of large homes rather than traditional multi-story dormitories in keeping with the American Hebrew Academy's nurturing educational vision. Each residence houses 18 students living two to a room. In addition, a senior student advisor, as well as a senior faculty family and a junior faculty member each residing in private quarters, but under the same roof, provide adult supervision as well as a home-like atmosphere that encourages socialization and camaraderie among all of the house residents. Each residence is much more than just a place to sleep. Rooms are equipped with wireless and high speed wired network connections for student laptop access for study and research. There is a room for group study, a lounge for relaxation, a recreation room, and a laundry. Student residences are single gender dwellings, but are built in clusters much like small villages.